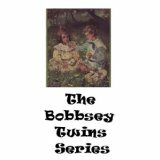 Do you have fond memories of reading Bobbsey Twins books? Or are you looking for gentle stories for kids for your own children? Several Bobbsey Twins books are free on Kindle right now. Remember, you can read Kindle books for free on your own computer, if you don’t have a Kindle. I found 15 [I think] free tonight :D. So keep looking! Thank you Phyllis and Carol. I downloaded them.